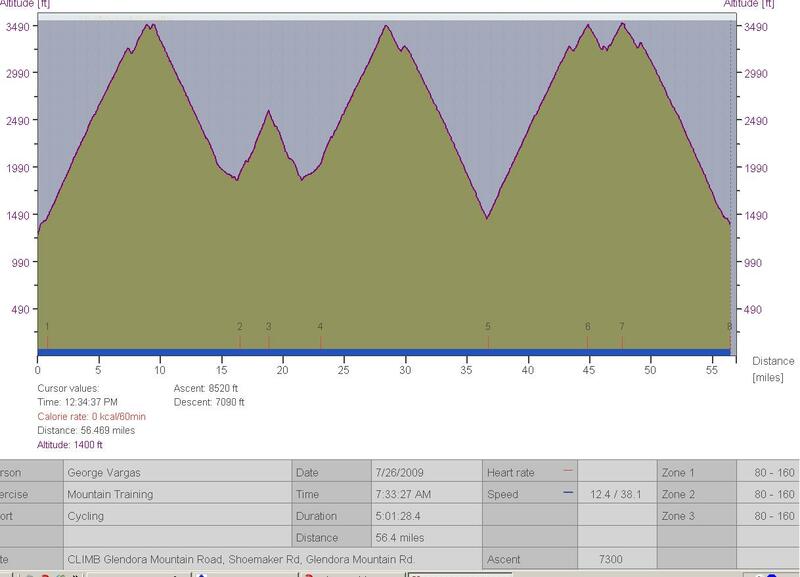 On Saturday I did 13,400 feet of gain in 114 miles. The hardest part of the ride had over 12,500 feet of gain in 80 miles. The heat and time in the saddle made the Baldy Road climb very difficult. I was struggling to maintain my speed above 5 mph on the last 2 miles of Baldy Rd. On the bright side I PR’d the little GMR climb. 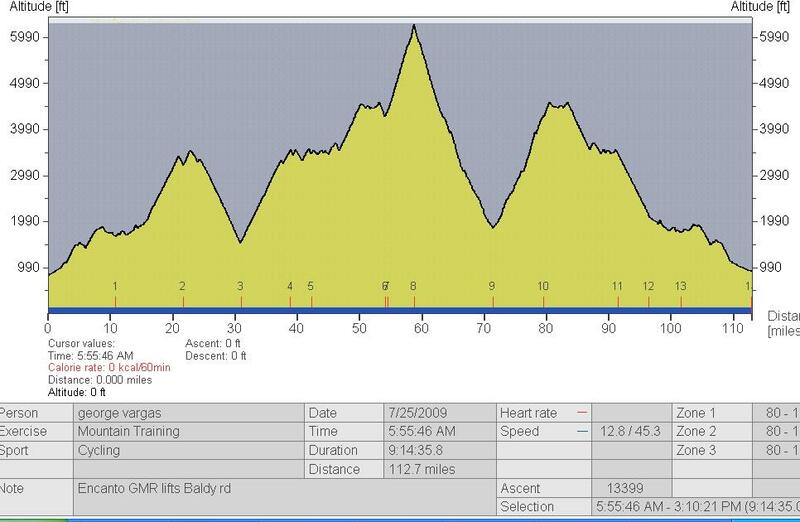 It is a 5 mile climb in the 6% range. My time was 28:13 Normalized Power of 263 (3.87 w/kg). I’m really proud of that even though pros climb at over 6 w/kg. BUT, I’m not a pro and that’s good enough for me. 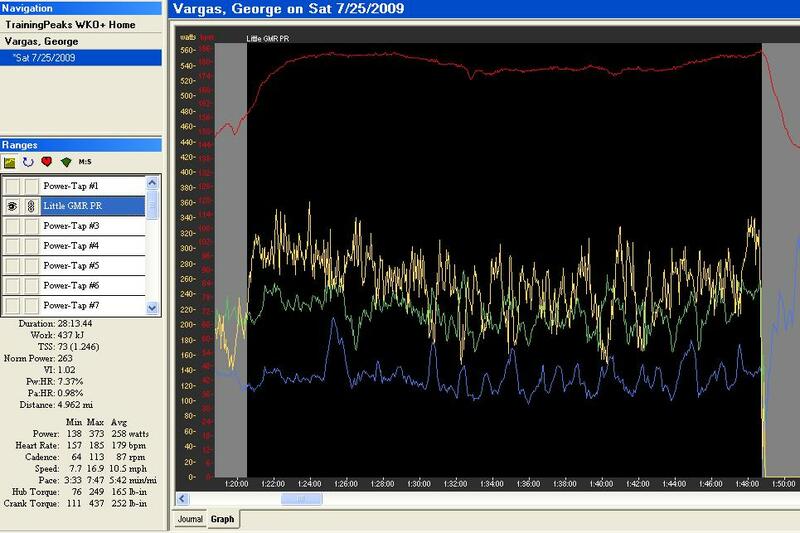 Here is a screen shot from Training Peaks software on my PR. On Sunday I did a shorter route than I had planned. I didn’t recover well enough from Saturday’s efforts. I wanted to stay close to the car so I only did 57 miles with 7,300 feet of climbing. This entry was posted in climbing, personal records, Training by REV Cycling Directeur Sportif. Bookmark the permalink.